My amazing hubby has been so good to me recently that I actually had time to play with the gorgeous February Card Kit from Simon Says Stamp. While Lily and he went swimming, and Sophie was sleeping (she just loves to sleep all day at the moment!!) 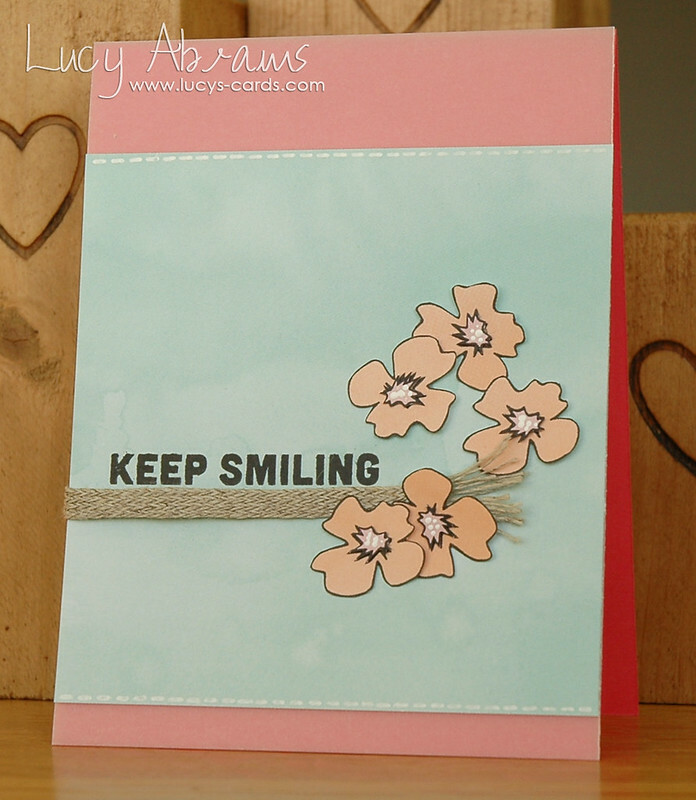 I created a couple of very quick and simple cards using just the papers and stamps in the kit. This is what I love about the kits - the ability to throw together a coordinated card without having to get out all your tools and stash! Perfect for me at the moment when I have such small windows of opportunity to create. 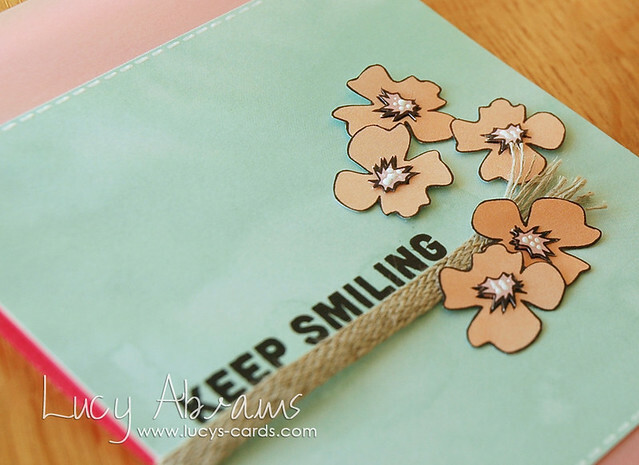 My first card uses some of the pretty stamps in the sweet Spring-y stamp set. I added some of the acrylic paint included in the kit to the flower centres for some texture. 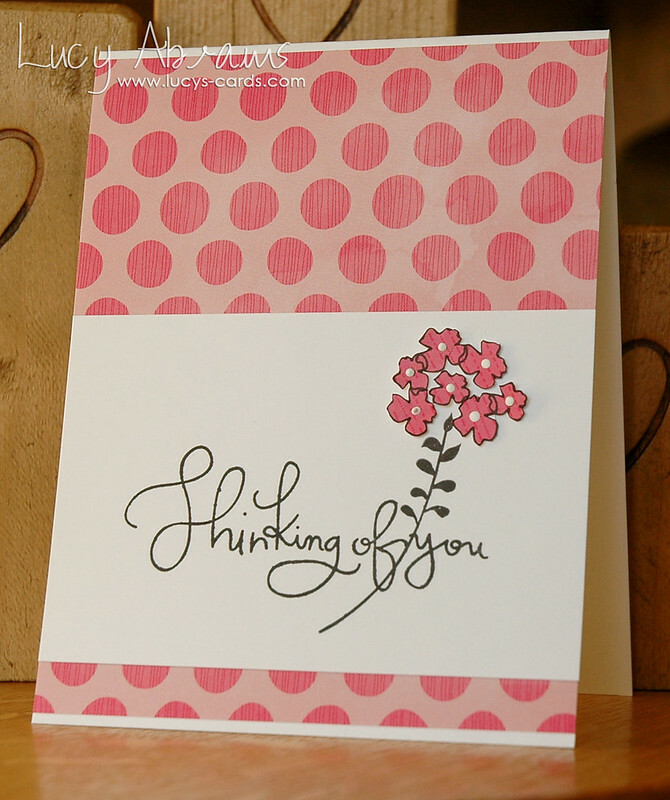 And my second card… To make the bright pink card stock paler, I adhered some of the vellum from the kit over the top. Vellum is a fab way to soften the look of brighter papers and cardstock. Love that Simon includes it in the kits once in a while. On this one, I used a white pen to add some faux stitching (as I did not have quite enough time (or the energy) to haul out my sewing machine)! So simple thanks to the awesome papers and stamps. Love this kit… and so much more to play with in the box. Amazing value as always. Really lovely spring cards Lucy!! beautiful cards ... love the stamp set in this kit! enjoy those babies - they grow up fast! Oh my gosh - you're amazing (and so are your cards)!! beautiful cards Lucy. So glad Sophie is co-operating for her Mum. Lovely cards! your fussy cutting is amazing.